Each fall, Anton’s Cleaners collects, cleans and distributes over 60,000 coats for children and adults. There are more than 250 schools as well as over 300 companies, clubs, organizations and thousands of individuals who donate good-quality coats. Nearly 90 social service agencies make sure that the coats get to those in need, free of charge. 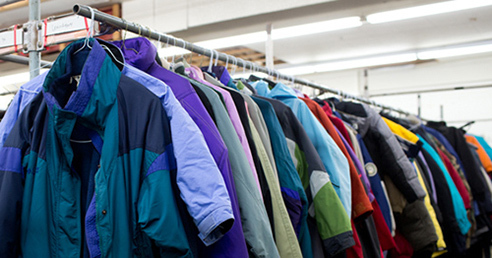 Since the program’s inception in 1995, Anton’s have collected and distributed over one million coats. Once collected and cleaned, coats are distributed free of charge through the Coats for Kids Distribution Partners network, which includes organizations such as Massachusetts Community Action Programs (MASSCAP), Salvation Army, Middlesex Human Service Agency, BU Medical Center Outreach Van Project, Wish Project, Community Giving Tree, Mental Health Association of Greater Lowell, Strafford County Community Action, Catholic Charities, Dorchester House MSC, Carolina Hill Shelter, Taunton State Hospital, Children’s Services of Roxbury and Harbour House Family Shelter, to name just a few.